Here’s our short weekly collection of new developments, reports and events in the defence, NatSec and strategy world. What are the challenges facing the new ASEAN Secretary General Le Luong Minh? Amruta Karambelkar looks at the inaugural speech of the grouping’s first Vietnamese head and what lies ahead for the region. For the naval wonks out there, RSIS fellow Michael Raska has a new paper (PDF) arguing for new classes of conventional submarine designs in the Asia Pacific. 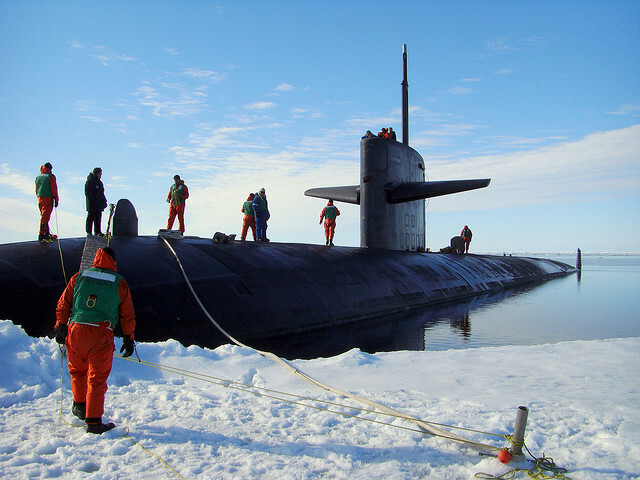 What strategic interests does India have in the Arctic? This new Institute of Peace and Conflict Studies article looks at India’s chill factor. Last week, UK-based Transparency International released the results of its Government Defence Anti-Corruption Index (by country here, overall report here). It found that 70% of governments fail to protect against corruption in the defence sector. Of the 82 countries surveyed, Australia and Germany were rated A, meaning least corrupt. But it appears the Singaporean government wasn’t too happy with its D+ rating and felt the need to respond with a strongly-(and carefully-) worded statement on its anti-corruption efforts. Also in defence spending, here’s a new-ish working paper (PDF) by the Istituto Affari Internazionali on defence spending in Europe before and after the economic crisis and its impact on NATO capabilities. … the Ministry of Defence has taken significant positive steps designed to deal with the accumulated affordability gap in the Equipment Plan 2012 to 2022, and lay the foundations for stability going forward. The crucial test will be whether the Department is able to deliver the Equipment Plan within planned expenditure limits, supported by the existence of a substantial contingency provision, over the next few years. If such a track record is established, which can only happen over time, the Department will be able to demonstrate it has really turned a corner. First check out this new Diplomat article by Richard Weitz on the long shadow of chemical weapons in Asia, then read Dan Trombly’s December musings on the same topic over at Abu Muqawama. Canberra readers, Professor Rikki Kersten will speaking about the US–Japan alliance and Japan’s security policy under Prime Minister Shinzo Abe on Tuesday 12 February at 6pm at the ANU. For Sydneysiders, AIIA NSW is hosting Dr Paul Monk who’ll be discussing Australia’s defence policy and regional challenges on Tuesday 12 February at 6pm. Singapore readers, IISS Singapore is hosting German Foreign Minister Guido Westerwelle will be speaking about Europe’s future on Friday 8 February at 6pm at the Fullerton Hotel. If you’re in London, IISS is also holding a discussion on security issues related to North Korea, Wednesday 6 February at 11.30am at Arundel House. Natalie Sambhi is an analyst at ASPI and editor of The Strategist. Image courtesy of Flickr user Marion Doss.